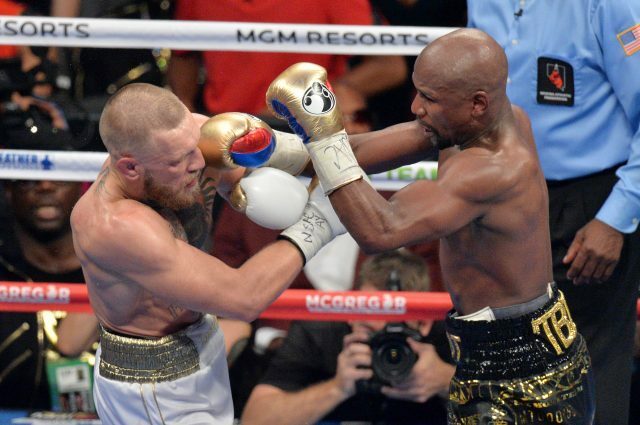 FLOYD MAYWEATHER harked back to his first professional pay cheque after his hugely lucrative final outing against Conor McGregor on Saturday night. The 40-year-old insists the 10th-round stoppage of the Irish mixed martial arts fighter at the T-Mobile Arena in Las Vegas marks the end of his professional career. It took his professional record to 50 wins from 50 fights, surpassing the great Rocky Marciano, and further secured his financial future. Reports indicated he would earn a minimum of £78million from the McGregor fight, to add to his estimated pre-fight net worth of £263million. 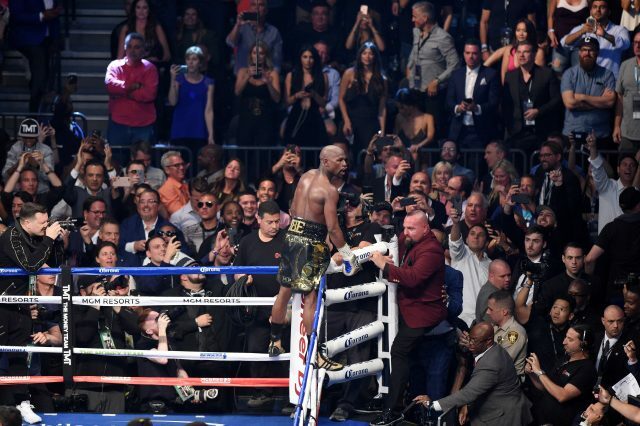 Mayweather took time to reflect after the fight on how his career in the paid ranks began. “I can remember turning professional, I went to (promoters) Top Rank, and I saw the cheque,” the American said. “I was like ‘damn, I’ve never seen anything like that in my life’. I come from poverty, from the inner city. “The cheque was only 100,000 dollars, but to me, it was like 100 million dollars. “I’d never seen those types of numbers. ‘Hood rich’ to me is 30,000 dollars, 40,000 dollars, 60,000 dollars. Mayweather has retired before, only to be lured out. He was out of boxing following his defeat of Oscar De La Hoya in 2007 but swiftly agreed to fight Ricky Hatton, before another period of inactivity followed. He had not fought for almost two years before the McGregor bout, with his previous outing being the win over Andre Berto which matched Marciano’s 49-0 record. Ireland’s McGregor had a superior commercial appeal to any other potential opponent, and even with Saturday’s fight proving the mismatch many had long feared, Mayweather revealed it was the money involved that motivated his return. “I did walk away from the sport before,” he said. “(I was) very comfortable: I didn’t have to come back. We do foolish things sometimes but I’m not a damn fool. The 29-year-old McGregor was accused earlier in the week by Leonard Ellerbe, Mayweather Promotions’ chief executive, of modelling himself on the American, and he similarly revelled in the fact he has earned a reported career-high purse of a minimum of £23million. He said: “We count up the gate, we count up the pay-per-views, we count up the merchandise, we count up the sponsorship revenue, and I send auditors in there; we count up every single dime. “I don’t know how I’ll spend it. I’ve so many ventures that are bringing in revenue for me. I’m building brands: a suit line, a fashion line that I’m delving into. The whisky that I’m playing into. “That’s not even including any endorsement deals that I have. Money’s good for me: I’m very blessed and happy with the position I’m in.